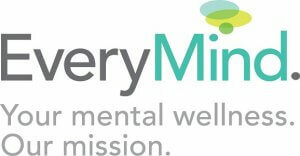 Building on nearly 60 years of direct service, community education and advocacy, EveryMind (formerly Mental Health Association) strengthens communities and empowers individuals to reach optimal mental wellness. In her highly-acclaimed new book, esteemed journalist CLAUDIA KALB gives readers fascinating insight into the maladies that plagued some of history’s most celebrated icons. Filled with intriguing revelations, vivid storytelling and compelling insight, this smart narrative presents a fresh look at characters who dazzled society and continue to excite the public long after their time. STEVE STERNBERG, senior writer at U.S. News & World Report, has covered medicine and public health for three decades for leading publications, including USA TODAY, The Atlanta Journal-Constitution and The Miami Herald. Sternberg’s awards include the Dag Hammarskjold Award for Human Rights Journalism, the American Heart Association’s Howard L. Lewis Achievement Award, The National Headliner, the Penney-Missouri award and the Global Health Council Media Award. In 1992, he was awarded a John S. Knight Professional Journalism Fellowship at Stanford University. He is a graduate of Ithaca College and Johns Hopkins University.